20 teams will be fighting for the $5,000 prize money that will be up for grabs in the first ever Silverwaters Tabadamu 7s this weekend. Tournament Director Malakai Yamaivava says they were expecting 24 teams to be in the main competition but only 20 teams have registered. He also says that in the Under 20 competition all the 16 places have been filled with teams such as Sigatoka Young Boys, Natabua High School Old Boys, Newborn Yasawa, Lelean and Flying Fish. Big teams such as Tabadamu, Police, Wardens and Army are taking part in the main competition. Tabadamu Team Manager Ulaiasi Bolalailai says the main aim of the tournament is to pick out the best of the best to represent Tabadamu in the Coral Coast 7s. 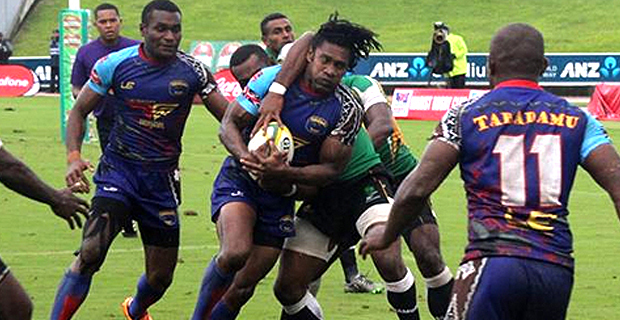 The Silverwaters Tabadamu 7s will held this Friday and Saturday at the Ratu Cakobau Park in Nausori.